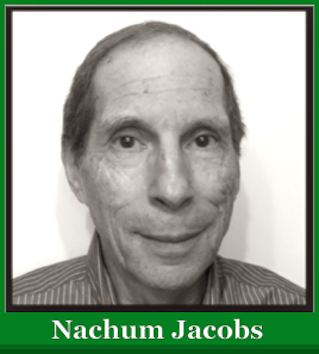 My name is Nachum Jacobs, I am a retired Pharmacist I made Aliya from America and I live in Netanya. I am writing to you because of the Government’s decision to add Fluoride to the drinking water of the men, women, children, babies and the unborn fetuses of Israel to reduce tooth decay. I know that you want the best health for the citizens of Israel, and that you are gathering information and knowledge from professionals to guide you to do what is correct. Therefore, it must be the objective of any use of Fluoride to evaluate its effects not only on tooth decay but also on all the other organs of the body that require calcium which has the property to chemically bond with Fluoride. See the Pineal gland. (reference 7). If you don’t look for these associated effects on other parts of the body beside the teeth, a terrible mistake will be done. (reference 5). Sadly, that is the history of this Fluoride debate. It resembles the historical debate of whether or not tobacco smoking causes lung cancer. Today, there are many clinical and laboratory studies from reputable sources, describing the unhealthy adverse effects of Fluoride in humans and animals. The Fluoride Action Network (FAN) is a good place to start for the citizens of Israel to learn about Fluoride and its effects on the body. People with more scientific background will also find at this web site www.nlm.nih.gov PubMed the studies in scientific language to support the health dangers to the public by mass Fluoridation of the water supply. The citizens of Israel must have the civil right to decide whether or not they want to be forced fed Fluoride in their drinking water. Especially when the consequences of the individual dose of Fluoride ingested will be variable and the risk of harm will effect the entire population. The State of Israel has a moral obligation to place on itself the burden of proof that Fluoridated water is safe as an additive to the drinking water of it’s citizens. It is the same burden of proof that it uses for every prescription drug, every food additive before it is permitted to be ingested by the public. I hope that you will find the right path to the truth about ingesting Fluoridated drinking water and that you will do what is correct for your family, my family, and all the people of Israel. Those citizens that want the right to use fluoride in topical products like toothpaste or mouthwashes should be permitted to use it with safe directions for use. Fluorides are found throughout the world as an unwanted natural contaminant in drinking water supplies. Vegetables are treated with Fluorides to kill insects. Certain brands of bottled water in Israel contain Fluoride as a listed ingredient on the label. We have enough possible contacts with this poison without deliberately compelling people to expose themselves to more of it. It is becoming clear that future generations of our people will suffer serious health problems from the mistakes we make today about Fluoridation of our public drinking water. I hope and pray that you will do what is correct and in the best interest of the health of the people of Israel. 5. Effects of the fluoride on the central nervous system, Valdez-Jiménez, L. ; Soria Fregozo, C. ; Miranda Beltrán, M.L. ; Gutiérrez Coronado, O. ; Pérez Vega, M.I. 6. Fluoride impairs oocyte maturation. Environ Toxicol. 2016 Nov;31(11):1486-1495. doi: 10.1002/tox.22153. Epub 2015 May 26 and subsequent embryonic development in mice. Please contact me if I can be of further service to you.